The Surface Pro 3 fell into my hands as part of a long-term loan deal from Intel. They invited me to attend IDF in San Francisco and 2 days before flying to the event my Ultrabook died. Intel, perhaps seeing that I might not be able to write anything about their biggest event of the year, offered a Surface Pro 3 and that’s how I ended up with it. I didn’t choose it and Intel, was normal while I was an ‘Insider’, didn’t ask me to write anything about the product even though it turns out that it’s not just a showcase of Intel 4th-Gen Core engineering but a damn good all-round Tablet PC. From desktop to laptop to presentation device and lots in-between. 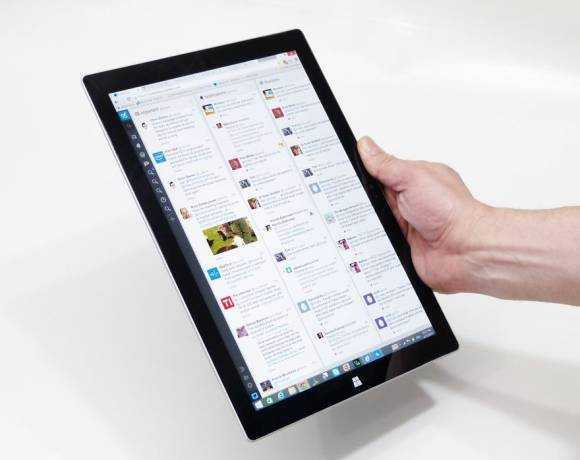 The Surface Pro 3 is 800 grams of ultra-powerful, ultra-mobile PC. It is, I can confirm after 6 months of use, a tablet that can replace your laptop, and your desktop. Add a keyboard cover and it’s almost as good as a laptop. Microsoft’s Surface Pro 3 is powerful enough to use as a desktop and as a 1080p video editing tool. 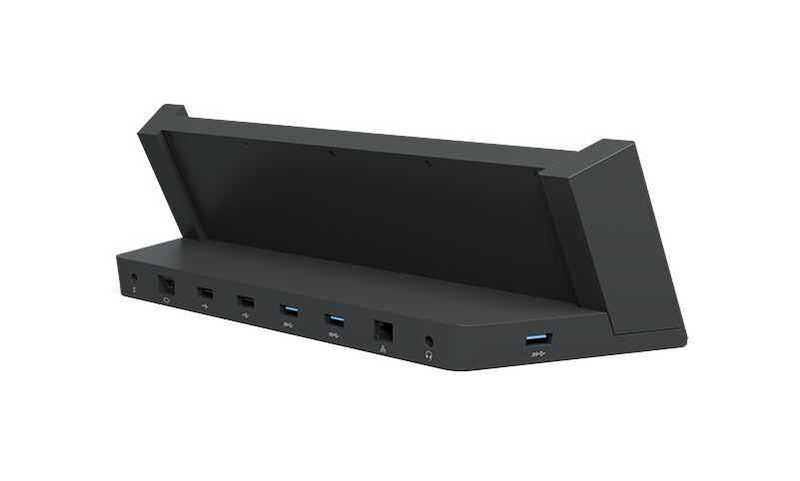 I’ve also been using it as a desktop with a USB 3.0 docking station. You might not need the Type Cover keyboard cover accessory. Update 2019: There are some limitations to that 1080p video editing statement. If you’re doing colour correction and detailed, long-form work, the Surface Pro 3 can run out of steam. The Surface Pro 3 is incredibly well-engineered, both inside and out. Update 2019: That’s still the case. Incredibly, my Surface Pro 3 still looks like a modern, relatively new tablet PC. Battery life is on average between 5 hours (hard work) and 6 hours (browsing) and can extend to 8 hours video playback. It’s good for an 800 gram device but you’ll still need to take the power brick with you. (Detailed battery life report below.) Update 2019: There were some Surface Pro3 devices that suffered terrible battery degradation. Mine was not one of them. The Microsoft Type Cover keyboard accessory is strange, but it works. [At least it works well now that I’ve modified it a little.] The back-lit keys are awesome in events, conferences and press launches. The problem is that it doesn’t sit well on a lap and it’s horribly noisy when angled-up at the back. Update 2019: It’s still a quality keyboard. The digitizer pen is great, but has no stowage space on the device. I have no idea where it is as I write this review. Update 2019: I lost my pen. The lack of physical ports is going to annoy you. You’ll forget an adaptor and have to borrow one, often. Surface Pro 3 needs a second USB 3.0 port. I’ve never used the silly little Micro SD card slot. Update 2019: The relatively low-power USB port has been annoying. I recommend the Surface Pro 3, but not for the 12 hour road warrior but it’s the best TabletPC there is and the one with the smallest list of compromises. It competes with, and beats, many Ultrabooks. It is inspirational and, when one projects a thought into the future, part of a product-range that could define a new way to use PCs. The Surface Pro 3 is a very, very important product. 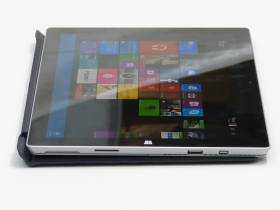 Microsoft Surface Pro 3 detailed specifications. Here’s what’s inside the Microsoft Surface Pro 3, in detail. CPU speed: 800 Mhz (idle) 1.9 Ghz + Turbo Boost to 2.9 Ghz. Ports: Mini Displayport, USB 3.0, Headset (mic+ line-out), Micro SD slot. Reversible magnetic power port. Magnetic keyboard port. Web cams: Front: 1.3 MP. Rear: 5.0 MP. Before we move on I notice that you didn’t fully read the specifications. Go back and take note of Windows 8.1 Pro and TPM. It enables full-disk Bitlocker encryption and that’s something you need if you carry important data. As I write this section I’m conscious of the lack of a USB-C port. 12 months ago this wasn’t important. Today it is. 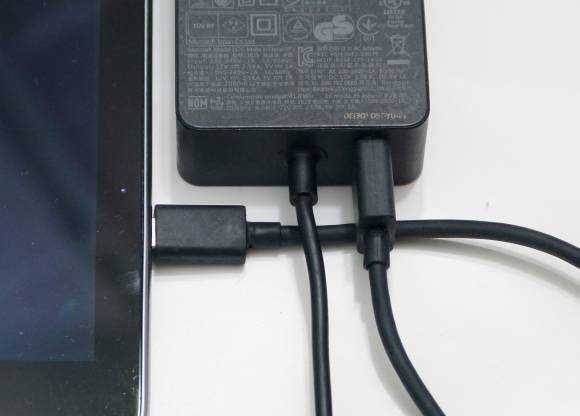 Surface Pro 4 must have two USB-C ports for charging and data. USB-C is something that could age the Surface Pro 3 very quickly so if you’re reading this review in late 2015, let us know what you think of a device without USB Type C port in the comments below. The DisplayPort interface highlights a professional angle on the specifications. You can buy a Mini DP-to-HDMI adaptor for under $20. There’s no built-in GPS. On Windows 8.1 that might not be an issue but with the Cortana location-aware assistant in Windows 10 (Summer 2015) it might be an issue. The 42 Wh battery is very good for this weight of Core i5 device. A complete Surface Pro 3 gallery is available here. 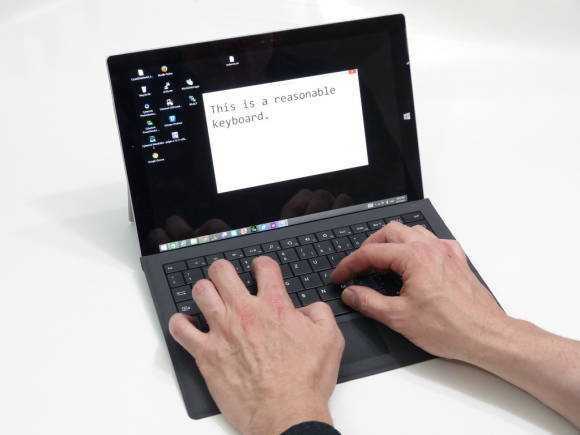 Working Fascia – Screen, Keyboard, Touchpad. The Surface Pro 3 does not come with a keyboard but I’m reviewing the ($129, street price $110) Type Cover keyboard accessory. A reminder. I’m reviewing the Surface Pro 3 (not the Surface 3) with 4GB RAM and 128GB SSD. Surface Pro 3 screen is excellent quality but not perfect. A 2160 x 1440 resolution is too much for some desktop applications, requires extra processing over a low resolution screen and needs tweaking for different scenarios. I’ve used this screen at 1680×1050 resolution for some stubborn Windows desktop apps (Cyberlink PowerDirector 12 is my main problem) but I switch to native resolution and a 150% magnification for tablet usage. It’s a lot of messing about and for me, someone who needs larger fonts for my tired eyes, sub-optima. I understand that it gives people options though and I see how it might add a little to the ‘marketing value’ of the device. Colors look great, brightness is great (go to the Notebookcheck review for detailed test results on the screen) and although the 3:2 aspect ratio isn’t good for widescreen films, it’s better for general productivity. Viewing angles are more than acceptable. Photographers and digital designers might wish for a little more color accuracy and coverage but this is easily good enough for any sort of preview work. 2K videos look stunning. The Type Cover provides a reasonable typing experience. There’s a story to tell here because just before CeBIT in March I nearly threw the keyboard cover right out of the Window. The hollow sound of the keyboard is something I can get used to (or you can drop the keyboard down to ‘table-flat’ mode to reduce that) and the short ‘throw’ of the keys is fine for me. The main issue was the spacebar. I tend to use just the right 20% of any spacebar and the error rate here was too high. I aborted it and nearly gave up on the SP3 completely. A random conversation at CeBIT convinced me to try another Type Cover and, surprise, there was no spacebar problem! Back at home later that week I decided to see if I could fix the spacebar. Perhaps there was a stray bit of glue or a crisp stuck under there. I didn’t recall spilling any Coke on it but it was always possible. It turned out that there was nothing under the spacebar expect a very tricky set of plastic scissor-action hinges that took me an hour to get back into place. Be careful if you remove the spacebar! What I did find was a metal clip underneath the spacebar which I popped-out and carefully bent up at one end. After re-fitting the spacebar everything was, and still is, 100%. I’m can now say that I am truly happy with the Type Cover keyboard. It’s expensive, but it’s extremely light, protective and is back-lit. The felt covering on the back is still in perfect condition after 6 months. The mouse pad is small but I don’t find it an issue. It’s accurate and two-finger scrolling works well. Remember that you’ve got a touchscreen and digitizer to enhance the experience too. The final part of the ‘working fascia’ is the stand. I was worried that it would loosen-up or break but after 6 months of use in many scenarios the stand is still working perfectly. On close inspection (image below) there does seem to be some wear but I can’t detect it in use. The stand is not great for lapping with the Type Cover due to the extremely large surface area it needs to hold itself up. I’m not sure how this issue can be solved given the tablet-first design but a solid (and probably quite heavy) fixed keyboard with battery and dock hinge is the only answer I can think of. 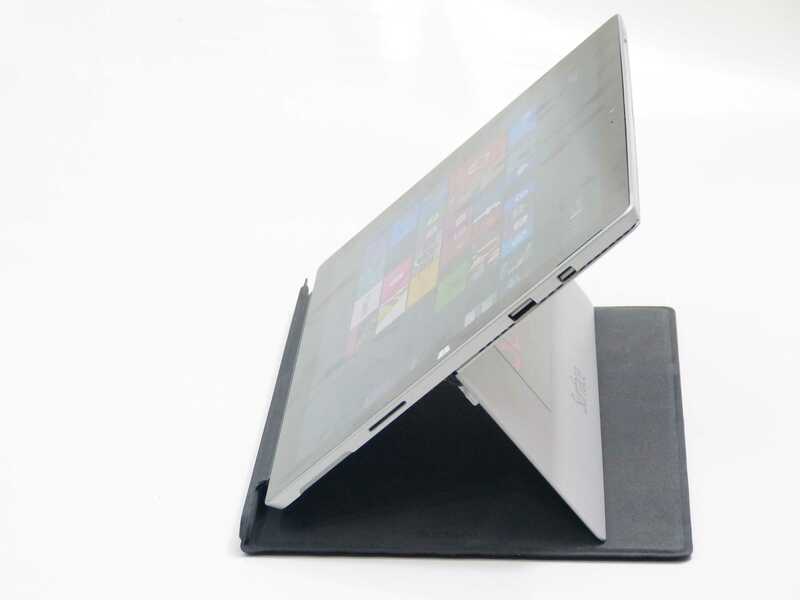 Surface Pro 3 stand close-up after 6 months. The stand is a continuous fold-back (not stepped) design and allows the tablet to sit in a comfortable position when you’re using the pen. I find myself using the stand to improve my grip on the tablet as I move about although there appears to be a ribbon cable behind the stand that might be at risk if you do this too much. The stand helps in that knees-up position you sometimes find yourself in when in bed. I haven’t seen reports of broken hinges and if you’re checking a second-hand model a little ‘play’ should be expected. 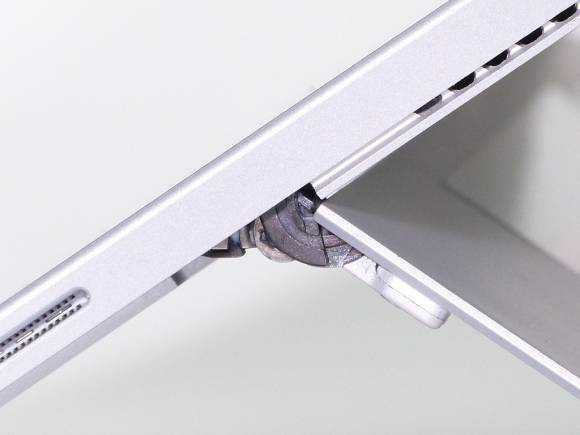 2019 update: The hinge on my well-used Surface Pro 3 is still good. It’s an amazing bit of engineering. The working fascia goes from simple tablet to complex keyboard / stand setup. At first you might not find a comfortable position and the echoey sound of the keyboard is very likely to annoy you but having fixed the spacebar I’m happy with it as the best keyboard-case I’ve ever tested. The metal casing is resistant to light abrasion but not metal-to-metal action. As you can see on the image there are a number of scratches at the base of the stand. One of them is deep but apart from that the Surface Pro 3 is scratch free. The screen is almost perfect (one tiny scratch) and there’s no damage to the plastics or the felt on the keyboard cover. The switchgear remains solid. There’s no evidence of the paint coming off the keycaps and although a sticker I added in November has almost worn through, there’s no evidence of scratching on the main part of the rear of the device. I’m guessing that the stand base has rubbed against something at the bottom of my shoulder bag and I’ll be a bit more careful about stowing it in the future. Note that there’s no spinning hard drive in the Surface Pro 3 so there’s no risk of damaging data if the unit gets bumped around. I have no comments about dust / water ingress resistance. As a Tablet PC the Surface Pro 3 is good. As a casual tablet, not so. 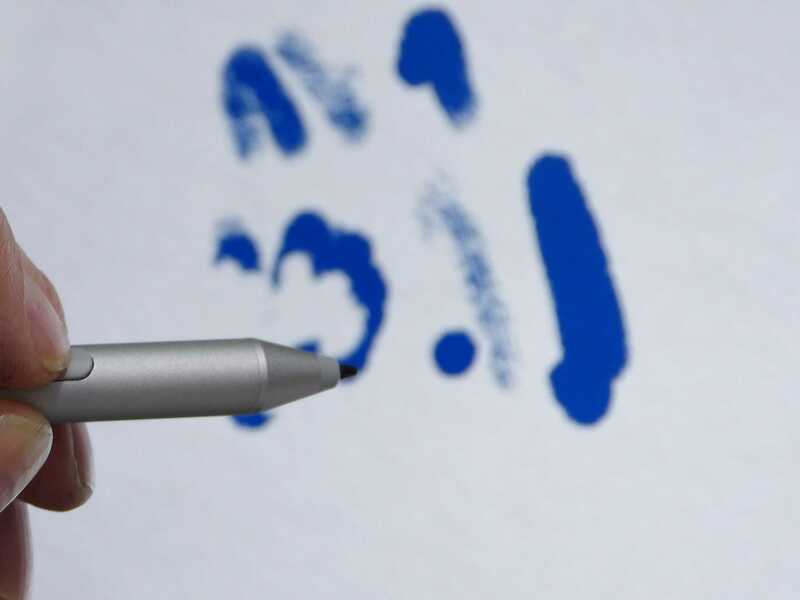 The 10-point capacitive touch and pressure-sensitive digitizer with palm rejection is exactly what’s needed if you want to use the Surface Pro 3 for scenarios like annotations, handwriting input, sketching, editing, signatures and education. The built-in Reader application, for example, has pen support for annotations. One Note is free and very feature-rich when it comes to pen support. 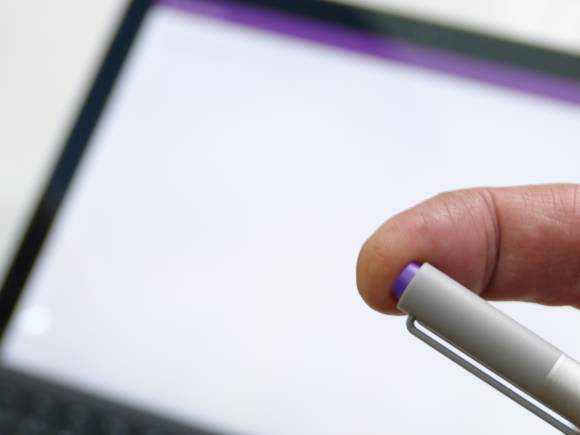 Windows 8 Reader app has pen support. The 10 mm registration distance means there’s good palm rejection support and it’s also good for ‘hover’ actions that aren’t easily accessible through a capacitive touchscreen. 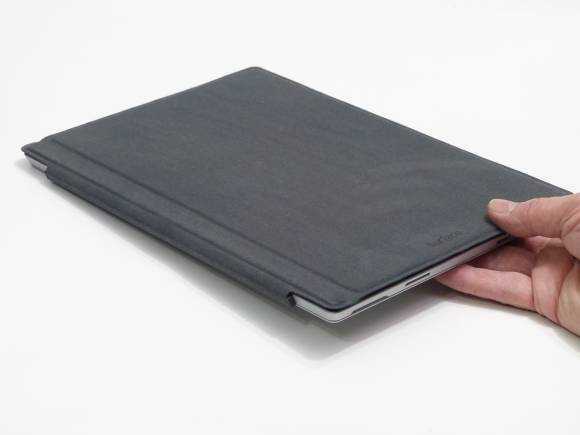 The stylus has three buttons that are used for erase, right-click and, on the top of the pen via a separately powered Bluetooth connection, to launch One Note. A double-click on the top button captures the screen and opens it in One Note as long as Bluetooth is enabled and the separate battery is working. Over the last 4 months I’ve stopped using Evernote and have completely migrated to One Note as a result of the pen, the One Drive synchronization and the availability of One Note on other platforms. Edge accuracy on the pen is good. Where applications support it, the pen delivers a great experience. Unfortunately the Surface Pro 3 isn’t a good casual tablet in the way that maybe an iPad or a lightweight Android tablet might be. At 900 grams it’s too heavy, there’s some heat (and sometimes fan output) and although the 3:2 ratio makes it a bit easier to hold in landscape mode, it’s too big. You can’t really thumb the on-screen keyboard and, as we all know, the Windows 8.1 app experience isn’t as rich as it should be. That could change with Windows 10 and Microsoft’s renewed push for Universal Apps across Windows Phone and PC. Surface Pro 3 is too heavy for long-term hand-holding. Look at the strain on my wrist! I’ve rarely used the Surface Pro 3 in casual home scenarios because of the size problem and the issue of finding enough space to use the stand. I’d rather have a 7-8 inch tablet with me, even a Windows one, as I watch TV. Even my cheap Lenovo N20p touchscreen convertible Chromebook is a better experience as it’s more stable on the side of an armchair or on the lap. Over time, in Surface Pro generations to come (see: Surface 3 launched) this problem will be solved. We’ll get to 500 grams with a Core M CPU in 2016 or even 2017 that’s perfect for consumption but for the Surface Pro 3 that’s not the case. While not as limited as the new Macbook (again, great engineering) which has just a single USB-C charge/data port the Surface Pro 3 is still quite limited. There’s no full-size SD card slot (there’s a Micro SD card slot under the kickstand) and you’ll have to use Display Port cables and adapters for your external screens. The DisplayPort (V1.2) can support two external daisy-chained full HD displays or one 4K display. A single full size USB 3.0 port is available for data although it’s not a hugely powerful port. I initially experienced an issue with an external SSD (which appears to have been solved via a recent firmware update) and I’ve been told that other devices may not work on the port. An external powered USB hub will solve the issue but that’s not a solution when you’re mobile so be aware of that. The Surface Pro 3 has a single headset port, a keyboard docking port and a power/docking connector. Surface Pro 3 keyboard docking ports. Surface Pro 3 left side. Surface Pro 3 right side. A Marvell AVASTAR WiFi module provides WiFi AC and 2.4 and 5 Ghz band support (selectable after a recent driver upgrade) with connectivity speeds up to 866.5 Mbps. In practice the WiFi has proven to be strong, fast and stable. In a local AC-WiFi NAS transfer test I was able to reach a stable 30 MB/s (280 Mbps) which is probably the limit of the local NAS drive. See below for SSD storage speed tests. Bluetooth 4 is included. As there is no enabled NFC module on the Surface Pro 3 I was unable to test a Tap-and-Send WiFi direct operation from a Nokia Lumia phone. Bluetooth file transfers from a Lumia 830 were relatively slow, taking about 10 seconds to transfer a 2.5 MB photo. Internally there’s Miracast support (not including WiDi extensions) for 1080p and multi-channel audio over WiFi and you can also send audio over Bluetooth but only using the A2DP protocol which isn’t high-quality. More details on my hot-desking experiences in this article. The disadvantage of the USB 3 based docks is that 1) they use a small amount of CPU to drive the DisplayLink software and 2) the display quality is not 100% in sync or at 100% quality. For Office working I haven’t noticed these issues on the Surface Pro 3 but customers need to be aware of this issue for gaming and high-quality video scenarios. All Surface Pro products currently ship with the Windows 8.1 Pro OS which includes additional security features over basic Windows 8.1. The most important feature is disk encryption. Microsoft Bitlocker encrypts all the data on your drive and can be used to encrypt data on a removable drive using the Bitlocker To-Go feature. In addition to Bitlocker, Windows 8 (all versions) ships with an anti-virus solution called Defender and a firewall / packet inspector. It is also recommended to make sure that automatic updates are turned on. 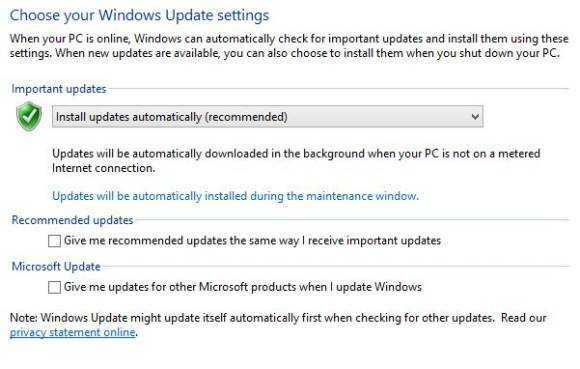 You can disable non-security updates from being installed. 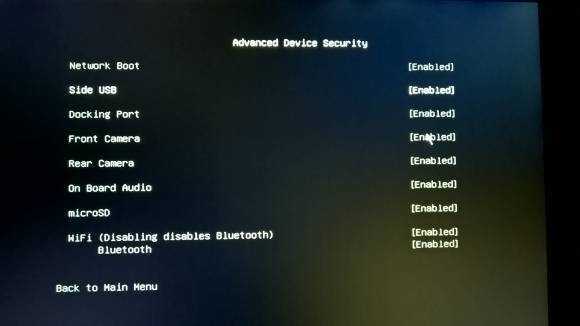 The UEFI boot software has some important security features. The Secure Boot feature will ensure that any operating system being booted is signed which can prevent attacks via USB -based password cracking software. A password can be set on the BIOS (recommended to stop someone turning off Secure Boot) and there are (after a recent firmware update) options to disable ports and features in the Surface Pro 3 BIOS. As well as having security advantage these new options could also help to improve battery life. 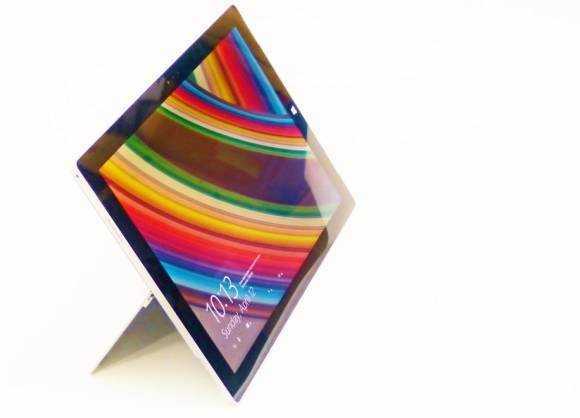 More on Windows 8.1 tablet security can be found in this detailed article. The combination of Ultrabook-style processor, 4GB of RAM and a fast storage device means the Surface Pro 3 can be considered a barrier-free PC for many. You’ll have no problem managing a large photo or music library (I still use Windows Live Photo Gallery and Windows Media Player to manage large libraries of media, even on a network drive.) Simple photo editing is fast and the Surface Pro 3 is powerful enough for every Windows 8 Store game there is. 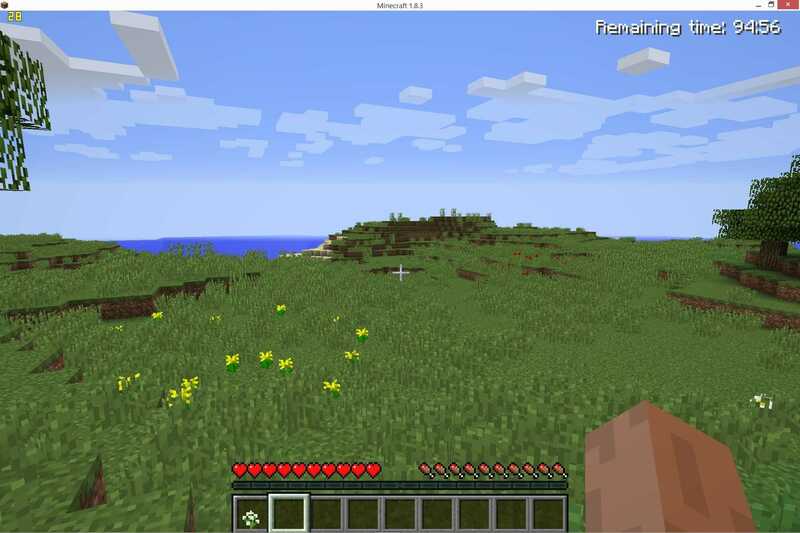 Minecraft works (see test below) and World Of Warcraft can be played at medium settings. You’ll find some fun in many desktop games too but don’t expect the latest 3D games to work on anything but minimum graphics settings. The limits of the Surface Pro 3 can be found if you push the device too much in memory, storage, CPU or GPU loads but most people won’t find those limits. Occasionally I’ve had a Windows Defender process get stuck on a large compressed archive file (and heard the fan as a warning signal.) I’ve experienced fan noise on rendering full HD videos with a lot of filters in but in general you won’t hear the fan. As a hot-desking and home office PC it’s perfect. In order to position the performance for you I’ve put together some benchmark figures below. 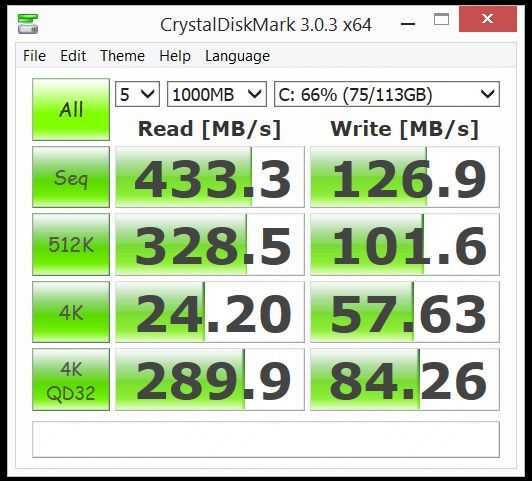 The CrytalDiskMark 3.0.3 test result shows that the SSD in the Surface Pro 3 is more than fast enough. Combined with a USB 3.0 external SSD drive the transfer rates for file transfers are incredibly fast. 200-300 MB/s means your videos can be moved around with ease. A fast SSD also helps to reduce the effects of background tasks like anti-virus, system cleaning, indexing and system updates. Raw multi-core CPU performance from the Intel Core i5 4300U CPU is good – about twice the performance of current Intel Atom-based systems and way ahead of the performance we were seeing from Ultrabooks just a few years ago. 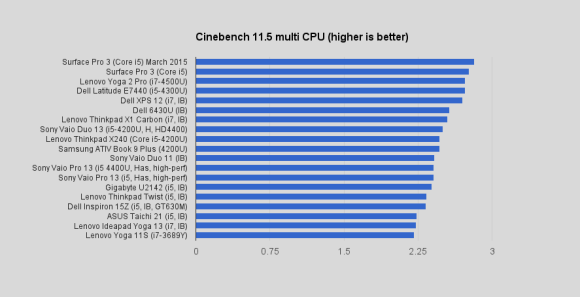 For example the original Lenovo Yoga 3 scored 2.23 on the Cinebench multi-core test. The Surface Pro 3, at 2.77, is 24% ahead. For fun, I looked at the CPU performance of a 2008 netbook. The Surface Pro 3 has exactly ten times the processing power. CPU Performance is reliant on ambient and internal temperature for long-duration CPU loads as Turbo Boost can cut back the clockrate if the system gets too warm but in short-term, 1-2 minute, bursts you can expect the full 2.6 Ghz dual Core (2.9 Ghz single core) maximum from the system. There’s enough power in the Surface Pro 3 for a swift, multi-tab browsing experience with any browser. Browser technology changes over time and benchmark results will vary but here are the current Sunspider, Peacekeeper and Octane results. Intel Quick Sync Video rendering performance. Intel Quick Sync is a hardware-based video decoding and encoding subsystem capable of vastly reducing the load on a PC for some video operations. Handbrake video conversion software supports Quick Sync as does the Cyberlink Power Director 12 video editing software (which is the video editing software I use for all my videos.) Handbrake was able to render 2K to 1080p at 180 fps where the CPU-based X.264 profile resulted in only 22 fps. Handbrake SVN6013 32-bit + Quick Sync profile. 2560×1440 23 FPS 33 Mbps to 1080p 4 Mbps: 180 FPS. Handbrake SVN6013 32-bit + X.264 CPU profile. 2560×1440 23 FPS 33 Mbps to 1080p 4 Mbps: 22 FPS. Using Power Director 12 I tested various video rendering operations and saw big advantages but it’s also worth noting that the editing process itself, even with the 2K resolution video file, was smooth. (I disable shadow files as Quick Sync is also able to accelerate the decoding of video clips making shadow files unnecessary.) In a 1080p multi clip overlay, titles and rendering operation from 24 fps to 30 fps the Quick Sync hardware improved the rendering time by 2X. Note: Effects on video clips (color, stabilization, overlays) will cause the rendering software to use CPU encoding. There are limits to the advantages of Intel Quick Sync. 3D performance has improved since Microsoft distributed a Surface Pro 3 firmware and driver update at the end of last year. In July 2015 notebookcheck.net tested the Surface Pro 3 and saw 877 scored on 3DMark 11. Today we see over 1000 points from the same benchmark. 3DMark11. 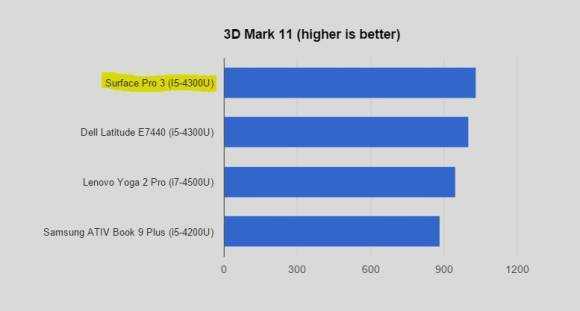 Surface Pro 3 beats other 4th-Gen Core PCs. Does the Surface Pro 3 have enough processing power for gaming? As I’m not a gaming expert I’m going to point you again to Notebookcheck for a set of gaming test results. I’ll make one observation though. Under heavy load the Surface Pro 3 can throttle CPU and GPU clockrates. Performance drops over time. Gaming benchmarks are not, in my opinion, a good indicator of longer-term gaming performance. When the CPU and GPU are at full load the system will generate heat, create fan noise and will run a Surface Pro 3 battery empty in about 2 hours. My opinion is that the Surface Pro 3 is OK for casual gaming, short-term desktop style gaming or for gaming with the applications found in the Windows Store. Again, the Surface Pro 3 is not a desktop gaming PC. I have not tested Steam In-Home Streaming. 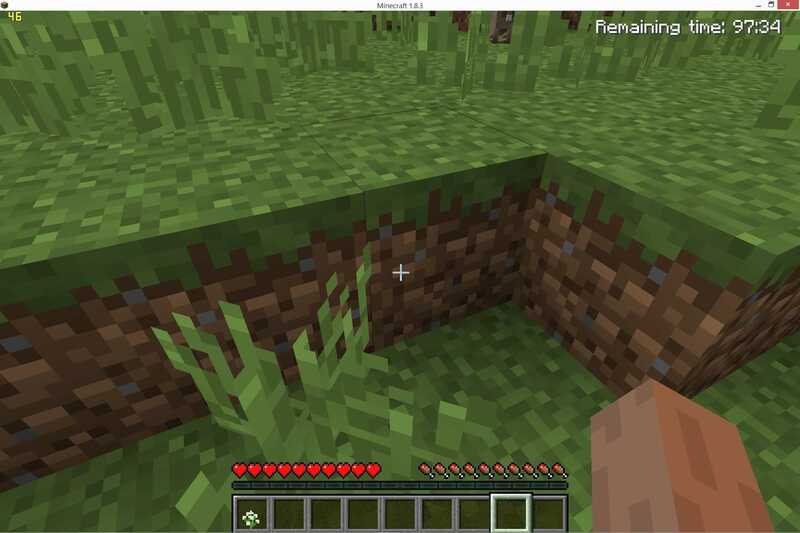 I tested Minecraft and although initial frame rates were in the 40’s it wasn’t long before those rates dropped into the 20’s. Turning on ‘fast’ graphics pushed those figures back up to the 4o’s so there’s some potential here. I enjoyed it! Minecraft on the Surface Pro 3. Default settings. FPS:29 after 5 minutes. WiFi performance is critical on a mobile device like the Surface Pro 3 and I’m happy to report that it’s good. During a ‘smoggy’ trade show and conference the connectivity was reliable and in my co-working office I connect at over 800 Mbps with AC WiFi. Range is good too. The only thing that could be better is having the WiDi extensions to Miracast and, for me, some apps to help with WiFi Direct file transfers from a Lumia phone. The NFC-initiated Tap and Send process on my previous Ultrabook was great for sending videos from the phone to the PC but at standard Bluetooth speeds on the Surface Pro 3 that’s not possible. The Surface Pro 3 has a fan and can definitely generate some heat. In these days of fanless laptops and tablets using the Core M CPU the Surface Pro 3 might sound a little out-of-date but be aware that the Surface Pro 3 will easily out-perform devices based on the Core M platform. 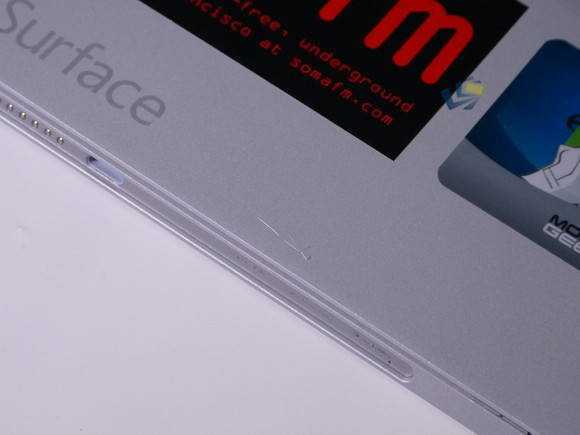 In the next generation of Core M, which we could see in late 2015, that might not be the case and it’s at that point that we should consider a Surface Pro 4. In the meantime though you should know that the fan isn’t ever loud and in basic tablet usage the back never gets hot. As a reference point, consider my co-working space which is generally very quiet. I can hear my co-workers laptop fans across the room more than I can hear the Surface Pro 3 and even when running benchmarks, as I have been here, there’s little real-world noise from the fan. 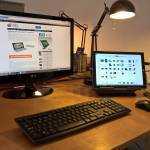 Heat could be a problem if you’re in a warm environment and trying to use some performance-intensive software when in tablet mode but there aren’t many alternatives that would do better. Surface Pro 3 battery life. Testing battery life on mobile PCs is a difficult task and only truly possible either by completing the full 100% rundown test or by using special mainboard measuring equipment. As I don’t have the latter and don’t have the time to let 56 hours of battery test run through I use a shorter test and extrapolate the results. By reading the battery discharge rate from the PC (available using the perfmon monitoring tool) I am able to watch the figures as I change variables on the system. For example minimum screen brightness to maximum screen brightness, turning WiFi on or off or video playback variations. In general we can ignore WiFi as a factor on PCs bigger than 10-inches as the 200 mw idle usage (my test result) is negligible compared to the 1.5 – 2.5W of the screen backlight and 1 – 3 W from the idle mainboard of a modern Windows tablet or Ultrabook. The Surface Pro uses the Intel Core i5 4300U. This is a system-on-chip optimized for mobile use and has some very advanced low power states. It supports Microsoft Windows InstantGo (formerly Connected Standby) and operates in a 15W TDP. Basically it’s an Ultrabook platform. Using HWInfo64 and its sensor monitoring tool (which uses very little CPU) I was able to view power drain rates on a per second, max, min and average basis. The first thing to mention about battery life is that the screen backlight is very powerful (max 350 nits brightness) but can use a lot of battery power; up to 3.2W. Battery life figures will vary wildly depending on how the backlight is set. I disabled adaptive brightness (automatic brightness control) for all tests. The WiFi connection was set to be a metered connection to prevent background WiFi activity as much as possible. Surface Pro 3 battery test results. Note that Chrome is always more power-hungry when streaming YouTube videos compared to IE (desktop and Metro apps) but in this case the difference was slightly more than I expected. Chrome desktop is also a more power-hungry way to work with online applications. 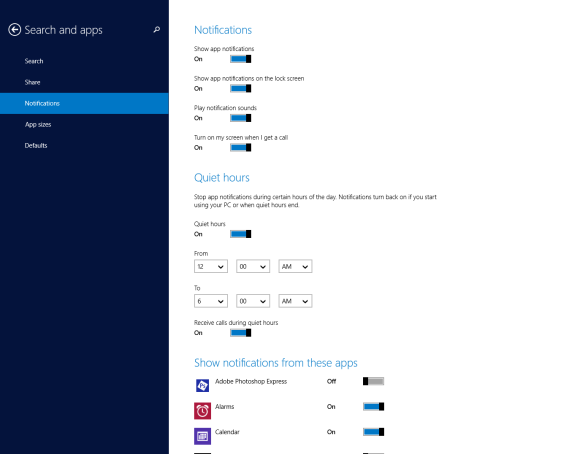 An extra hour of battery life was possible by staying within the Windows 8 application environment for the Web tests shown above. Three tips to improve battery life on the Surface Pro 3. 1 – Use adaptive brightness and keep average screen brightness as low as possible for, potentially, hours more battery life on the Surface Pro 3. 3 – Switch the WiFi to ‘Metered Connection’ mode to stop some background process starting up. Pressing the power button on the Surface Pro 3 does not shut it down. Instead it goes into InstantGo mode which is a connected, active, screen-off mode. In this mode it’s possible for apps to continue to run in the background and use networks. This can be good (you still get notifications, Skype calls and can stream music at extremely low power usage) but has the disadvantage that battery is being consumed at a higher rate than in standby or when the product is truly shut down. After 4 hours of InstantGo activity the Surface Pro 3 will go into hibernation (preserving the session and using near-zero battery.) Over time you might find that many Windows 8 apps have been allowed to run in the background and to provide notifications and in order to improve the InstantGo battery drain you need to manage these. Use the notifications settings to do this. Control background activities to improve InstantGo battery life. It is possible to avoid InstantGo by using ‘shutdown’ when you’ve finished your work or, if you’re feeling brave, to use the Group Policy Editor to disable InstantGo, enable Hibernation or reduce the time InstanGo time is available. I haven’t tested this but there’s a tutorial here that you might want to look at. powercfg -batteryreport shows a lot of historical power usage information. I’ve recharged the battery 54 times and it’s still at 100% capability which indicates that Microsoft have used a very high quality battery and charging system. Surface Pro 3 usage tips. The button on the top of the stylus opens One Note, even when the device is in InstantGo standby. Double-click to grab a screenshot and go straight to OneNote. 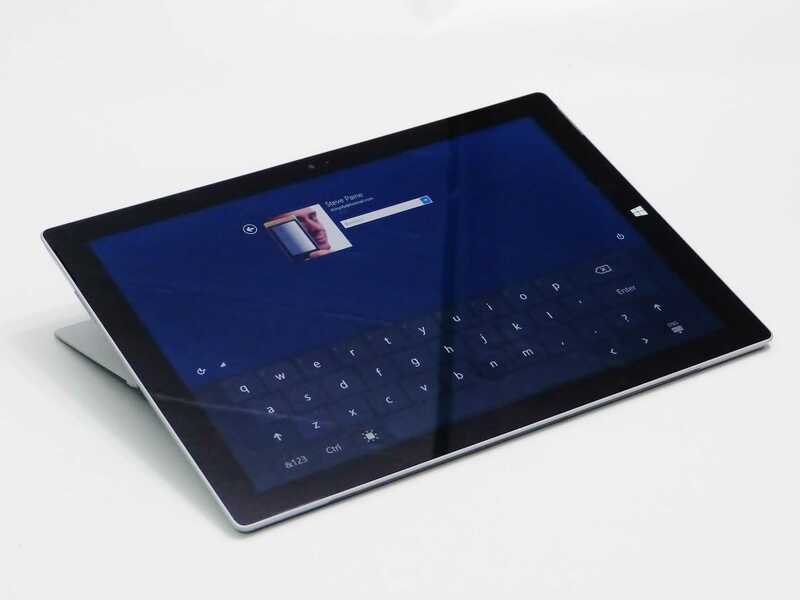 Ensure that you have paired the Pen to the Surface Pro 3 and that you have Bluetooth on. 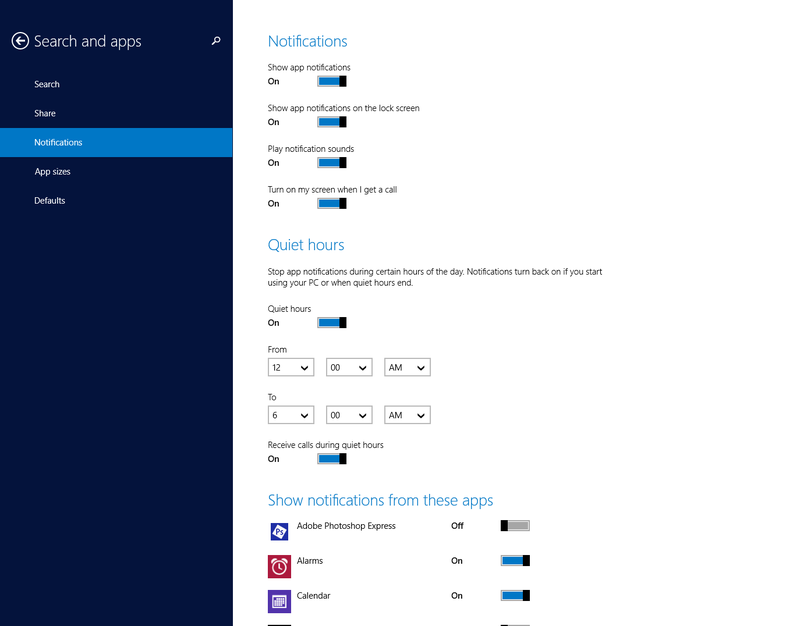 To improve battery life in InstantGo standby mode, check all your Windows 8 application notifications settings. Many of them are set to ON by default and you won’t need them. The disk is encrypted by default but to check that, right-click on the C: drive icon and look for the Bitlocker option. Click to check details. The screen is tough, but not scratch resistant. The same goes for the casing. Take care. To check your battery life history, press the Windows key, type “run” select and then type “powercfg -batteryreport.” It will generate an HTML file called battery-report.html in your home directory. See here for more details. Working within Metro / Windows 8.1 apps is more efficient, gives you sharing features and can be a safer working environment. Make sure you have Windows updates turned on because that’s the way you’ll receive Surface Pro 3-specific firmware and driver updates. Data on a MicroSD card inserted into the Surface Pro 3 is not encrypted until you enable Bitlocker To Go. The screen backlight is powerful but can use a lot of battery. Enable adaptive brightness under Windows Power and Sleep settings and try to keep brightness low for the best battery life. Warm environments will affect the Turbo Boost performance. Music streaming still works when using a Windows 8 app (e.g. TuneIn, Music) and the Surface Pro 3 is in standby (for 4 hours by default.) In this mode it uses very little battery. The Surface Pro 3 does not come with one year of Microsoft Office 365 and 1TB One Drive storage like the Surface 3. 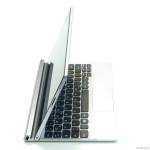 Try the Type Cover keyboard for 30 minutes before buying it. You’ll either accept it or hate it. You probably won’t love it…until the lights go out. There are no power profiles on the Surface Pro 3 because it’s an InstantGo enabled device and it steps up and down through power ‘profiles’ as needed. 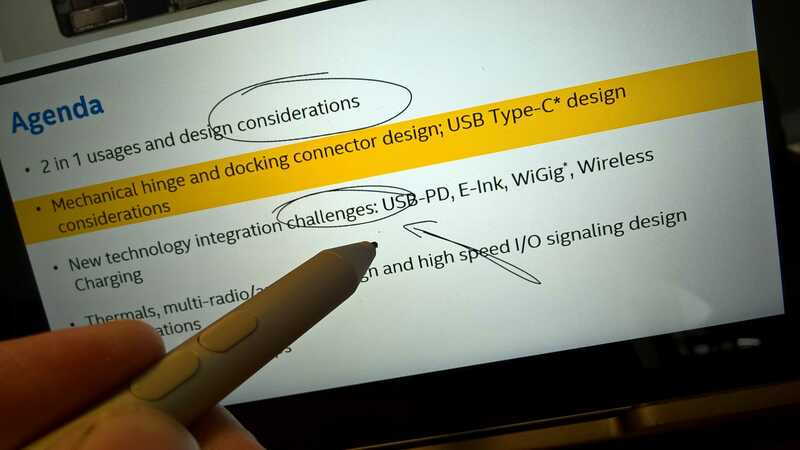 The built-in Reader app allows you to annotate PDFs with the Surface Pen. The power supply is compact and includes a 2A USB charging outlet. Surface Pro 3 power supply with 2A USB charging output. Digitizer registration distance is 10 – 11 mm. De-registration distance is around 13mm. This reduces if a finger/palm is touching the screen. Edge accuracy for the Surface Pen is good. There’s an application that can be downloaded from the Store (Search for “Surface”) to change the pressure sensitivity curve of the digitizer. I have not written about the cameras because I’ve only ever used the front-facing one for Skype. It was OK. I continue to ignore the rear camera. If you know of a use for that, let me know. The keyboard can be folded back over the rear of the Surface Pro 3 and is disabled when in this position. It can also be used as a stand area. The speaker quality is reasonable. I would class it as good for a tablet of this size but it’s not as high quality as some laptop speakers. The stereo output is well separated in landscape mode. Max volume is acceptable and remains clear. 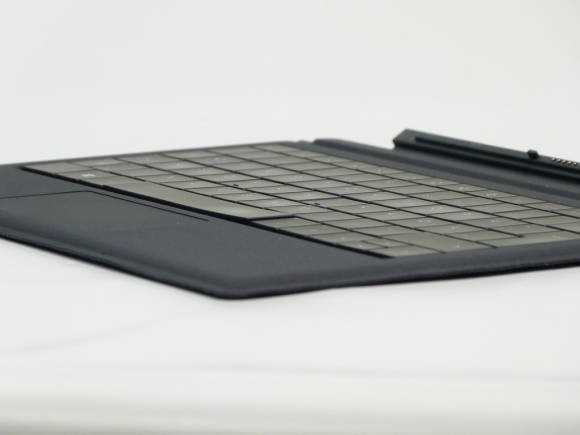 Microsoft’s Surface Pro 3 is a high-quality tablet PC that’s powerful enough to be a desktop and can be expanded to a notebook-style PC with the Type Cover keyboard. There are limits to that setup though (don’t call it a lap-top) and as a casual tablet the Surface Pro 3 is a little too big and heavy. It’s relatively expensive too. Apart from the tablet weight and size, 2 other areas need highlighting to the potential buyer. The first of those is battery life which is good but not ‘all day.’ You’ll need to bring the power adapter with you if you’re planning anything more than 5 hours of ‘on’ time. The second point is the complex hinge mechanism. It should be treated with care, not used as a holding-point and should be checked carefully before buying a second-hand Surface Pro 3. The Surface Pro 3 is the best Tablet PC I’ve ever tested under $1000 and after 6 months of use I’m very happy with its performance. The quality is excellent inside and out and it’s clear that Microsoft are taking care to support and improve the Surface Pro 3 through software updates. 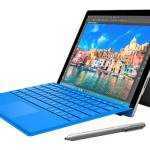 Don’t forget that the Surface Pro 3 comes with full disk encryption and portable drive encryption, that it’s powerful enough to edit full HD videos, that the screen is great and that the digitizer pen comes with the tablet. Add a Miracast receiver to your projector and the Surface Pro 3 becomes the most dynamic presentation PC there is. While I was writing this review the Surface 3 launched and prompted rumors and discussion about the Surface Pro 4. The Surface 3 doesn’t really compare if you’re looking for a desktop-capable tablet so that just leaves the Surface Pro 4. It might make sense to wait until after the Microsoft BUILD event (April 29th – 12 days after this review was published) to see if a Pro 4 launches. If it doesn’t, I recommend a BUY for the Surface Pro 3. If this review wasn’t enough for you, check out the links on the Surface Pro 3 information page. You’ll also find current Amazon pricing for USA, Germany and UK. Usage of the read camera? Well. If you use OneNote (ModernUI version) then you have Office Lens integrated in the program. With that Office Lens feature (not present at the desktop version of OneNote) you can take a picture of a document or whiteboard and will be 1) be digitized and 2) get OCR on the content. Problem with the read camera of the Surface Pro 3? Fix focus which makes very difficult to scan documents on the tablet. With my Dell Venue 11 Pro which has a camera with auto-focus I can scan a document in the middle of a meeting while being seated at the tablet. This is imposible with Surface Pro 3. 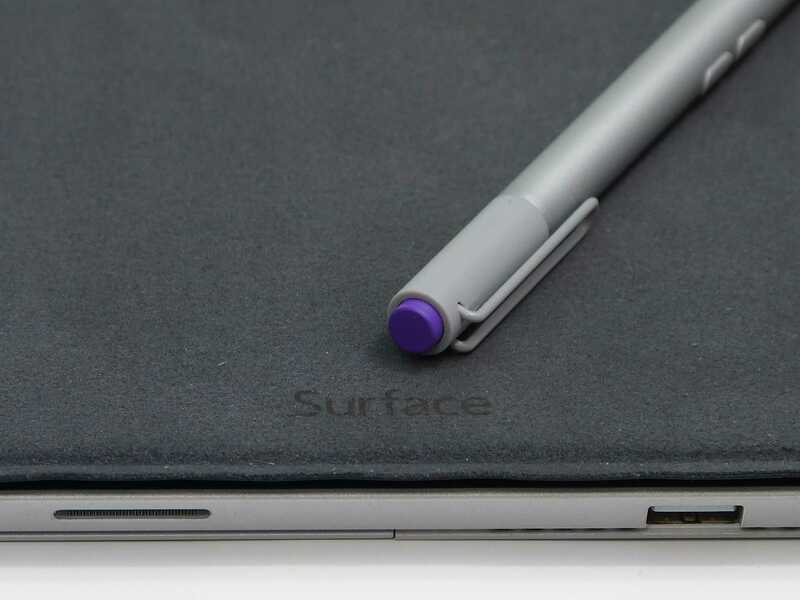 The new Surface 3 hasn’t that problem since the rear camera has auto-focus. I do scan documents with my Dell tablet and OneNote (ModernUI) all the time. Hi, I’ve had an SP3 for a couple months now. I just discovered that when I use the sound recorder, the output comes out from the left speaker. Then I realized that the front mic is the left stereo input and the rear mic acts as the right. When I’m recording, it means I have to be talking into the top edge to get the right LR balance. Meh.